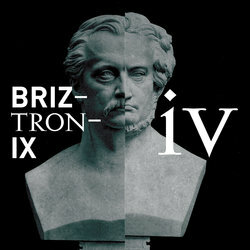 After an 11-year hiatus, Briztronix roars back with their 4th studio album, simply titled 'IV'. The seminal Australian underground beatmakers released an EP and two albums in the 2000s to wide airplay and considerable acclaim, touring nationally supporting the likes of The Herd, Hermitude, Buck 65 and Grandmaster Flash. Now, after taking time off to have kids and work on their real careers, Briztronix are back with one of this year's most exciting hip-hop releases. All instrumental and harking back to the glory days of 90s illbient hip-hop such as DJ Shadow and DJ Krush, IV by Briztronix builds a rich musical soundscape complete with the incredible scratches of DJ Bacon and live drums from session drummer Chris O'Neill (Mia Dyson). Band leader DJ Bacon is fresh from making international waves with his mashups of famed 80s acts like Public Enemy, Run DMC and Ice-T, gaining airplay in the US from none other than Chuck D on his LA radio show and shout outs from Ice-T on social media. Briztronix 'IV' is the band's most assured release yet, teleporting listeners back to the halcyon era of 90s underground hip-hop in the style of DJ Shadow, DJ Kursh, Coldcut and Hermitude.